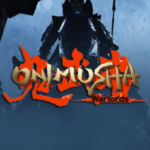 Get to know how the remake of the classic action-adventure video game faired with its Onimusha Warlords review round up. This game originally launched in 2001 available for PlayStation 2 consoles. Generally, the game is still quite the same with the remake version with the exception of some little changes. Know what the critics have to say about the game in the review round up we’ve provided below. Onimusha Warlords launched on January 15, 2019. It is available to play on the PC, PlayStation 4, Xbox One and Nintendo Switch. Check out the comparison video of Onimusha Warlords and get to see what the difference are!